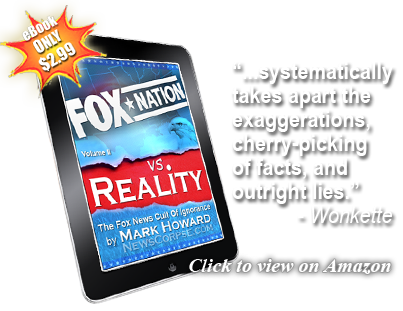 It’s never exactly breaking to news to report that Fox News has broadcast something that is blatantly contrary to reality. In fact, it would be easier to point out when they say something that’s even marginally true. Nevertheless, it’s important to set the record straight lest we allow their lies to linger and get a foothold on the weaker minds that populate their audience of Deplorables. On Saturday morning, Donald Trump’s favorite breakfast club, Fox and Friends, put together a segment that was obviously intended to deceive. 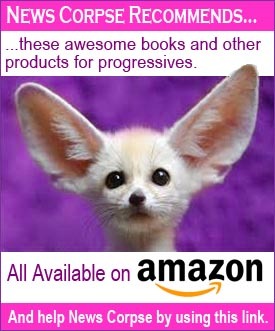 The target of their dishonesty was a familiar one: Democratic Rep. Alexandria Ocasio-Cortez (AOC), for whom they have developed a perverse obsession. The subject of the segment was emblazoned on their chyron which read “Ocasio-Cortez Compares Climate Change to 9/11.” There’s just one little problem with that. AOC never did anything of the kind. The producers of this Fox program also appended a bit of video to the end of their clip that was unrelated to the rest of it. 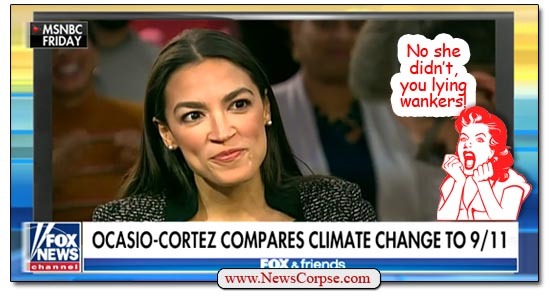 It showed her commenting about the critics of the “Green New Deal,” saying that she “didn’t expect them to make total fools of themselves.” That comment was actually a response to a video montage of Republicans and Fox News shills (which is redundant, I know) attacking her. And after maligning and misrepresenting her for the whole piece, the Fox hosts suggested that she should come on their show. Yeah, right. At least Fox didn’t compare her to Hitler and Stalin like it did a couple of months ago. One of the most recognizable personality flaws of Donald Trump is his compulsion to brag about everything he does as the bestest, most awesomest of whatever it is in the history of mankind. To be fair, he is entitled to some credit in specific areas. 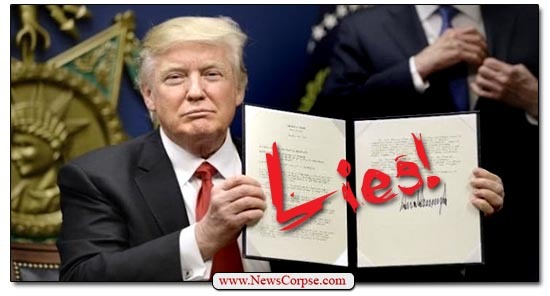 For instance, no president has ever been documented as telling more lies (8,000+) than Trump. However, pretty much everything that Trump has done more of than anyone else has had a decidedly negative impact on the country and the world. They include his withdrawal from the Paris Accords on Climate Change, his ditching the Iran nuclear treaty, his tax scam that benefitted only corporations and the wealthy, and his shutdown of the government over a useless and ineffective vanity wall along the southern border. It’s notable that this PEW study focuses on what the global community regards as threatening, and that most of them cite Climate Change at the top of their list. Of the twenty-six countries surveyed, fifty percent consider Climate Change to be the most serious threat they are facing. That compares to less than a third who named ISIS. And the perception of Climate Change as a threat increased by eleven points worldwide, a gain that is second only to the the U.S. It’s not surprising that this rising concern coincides with Trump’s dismissal of Climate Change as a hoax. Clearly, there is no ambiguity about the cause of this decline in the international reputation of the United States. Trump is driving America to a new low in the world, particularly with our longtime allies. It is not only embarrassing and disruptive, it is dangerous. And it is deliberate on the part of an ignorant narcissist whose only goal is to glorify himself and disparage the majority of Americans who disagree agree with him. The Big 4-0. That’s what Donald Trump has hit with his latest infomercial (aka interview) on Fox News. It’s his fortieth since becoming president. As usual it was a slobbering love-fest with Fox host Harris Faulkner hand-holding Trump through a series of softball questions. And when he wasn’t filibustering with barely comprehensible blather, he was interrupting with almost relevant filler (video below). The Oval Office affair covered a few pertinent subjects with the thinnest veil of substance. Harris asked about Trump’s former lawyer, Michael Cohen and his National Security Advisor, Michael Flynn, but she never pressed him to answer for their criminal activities or how they implicated him. Nor did she challenge any of his meandering obviously deflecting replies. It seems every question was waterdown with platitudes before Trump even had to answer. When referencing a new Fox poll showing that Trump is still underwater at 46-52 percent, she spun it as being “just a couple tics off your highest point.” Which means, of course, that he has never risen above fifty percent. But she wouldn’t say that. Although she did let him get away with bragging about how well he did with women in 2016 (he lost women). When he lied about how well he’s doing with China and trade, Faulkner chimed in that “that takes the pressure off the economy a little bit.” She did note that all of the gains for 2018 in the market are gone, but then added with a big smile that the market is still up since his inauguration (due to the record bull market that began in 2009 under President Obama). While discussing the economy and jobs, Faulkner got nearly teary-eyed about her impression of Trump going after companies that have had to impose layoffs, saying “I love this, cause I hadn’t planned to ask this, but your you’re calling out companies and what not. And the nation got to see you.” After his incoherent non-response she praised him saying that “This is your wheelhouse. Everybody knows this. I mean, to see the energy and the electricity as you talk about these issues.” Does anyone else need a towel? It’s somehow appropriate that Trump would come so close to the question that Adolf Hitler reportedly asked about Paris after ordering his troops to destroy the city rather than let it be re-captured by the Allies: Is Paris Burning? Well, no. It wasn’t then and it isn’t now. While there is some civil unrest, the city is not a charred wasteland. And the protests have nothing to do with climate change, despite Trump’s deranged attempt to conflate them. Also, the trillions of dollars he said would have been spent are a figment of his diseased imagination. Sadly, this is the sort of warped dialogue that America is forced to engage in with a president who is too demented to grasp any subject that might come across his desk – or reality. And it doesn’t help when an alleged “news” network acts like the propaganda arm of a White House determined to mislead the public and work against the interests of the nation. After nearly a year, no one is particularly surprised when Donald Trump demonstrates just how stupid he is, but it is sometimes jarring to see how proud he is of it. And on Thursday night Trump provided a perfect example of both his painfully weak grasp of common knowledge, along with a massive dose of callous insensitivity toward the needless suffering of others. 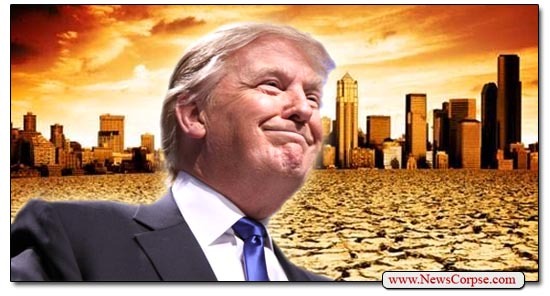 By wishing for “a little bit of that good old Global Warming,” Trump is in effect wishing that millions of people suffer and die. He clearly doesn’t have even the slightest understanding of Climate Change, and thinks it’s cute to pray for more of it. Let’s be clear, the record cold temperatures that are blanketing much of the Northeast and Midwest are, in fact, the result of Climate Change. Higher temperatures in arctic regions and oceans push frigid weather patterns farther south than they ordinarily go. And that’s why people from Maine to Minnesota will be shivering and many will be in mortal peril. Trump and his science-denying ilk still don’t understand that aberrant weather patterns are a product of Climate Change (which is why scientists don’t call it global warming). He doesn’t know the difference between climate and weather. He can’t connect the incidence of extreme temperatures and natural disasters like hurricanes to the climate disruptions caused by human industry and behavior. And even when there are episodes of cold temperatures in one particular locality, in other places it is uncommonly warm. Southern California is in the eighties. Australia is experiencing record highs. So chills in New York don’t negate the fact that the planet’s climate is rising. 2016 was the hottest year ever. 2017 is set to be one of the three hottest years on record. Trump’s flagrant ignorance is compounded by his brazen lying. Who knows what he’s talking about with regard to the United States spending “trillions of dollars” to protect against climate change. Efforts to mitigate climate disasters were being put into place internationally until Trump petulantly withdrew from the Paris Accords. But the cost never approached trillions. Fortunately, many states, cities and private companies repudiated the President and still intend to implement the initiatives outlined in Paris. Finally, Trump tagged on a stony and insincere tip to “bundle up.” Really? That’s all he could muster for one of the coldest periods on record. Doesn’t he realize that people die under these circumstances? It was apparently too much trouble to post information on finding shelters for the homeless. Or to help those affected to stay warm in poorly insulated apartments and homes. Or to offer advice on how to prevent pipes from freezing or where to get help if someone is suffering from hypothermia. Just bundle up and mock science by wishing for the problem to get worse. Although it may seem like an eternity, it’s only been nine months since Donald Trump was inaugurated. In that time he has managed to take the country from a respected leader of the world community to an embarrassing has been. He has emboldened and praised our enemies and insulted and alienated our allies. His infantile tantrums have brought us to the brink or war. And his domestic agenda is focused narrowly on making life better for the wealthy at the expense of everybody else. At the same time, Trump has exalted himself with delusional claims that he has done more in his short tenure than any other president in history. But with a couple of tweets on Sunday morning he actually proved the opposite. The tweets were directed at Peter Baker of the New York Times. His latest column addressed Trump’s sorry record of “achievement” with the headline: “Promise the moon? Easy for trump. but now comes the reckoning.” Baker compared the President’s campaign rhetoric with his results so far. It’s not a pretty picture. Responding to Baker’s analysis, Trump once again took his phone to his throne and fired off a couple of missives that were intended to set the record straight. 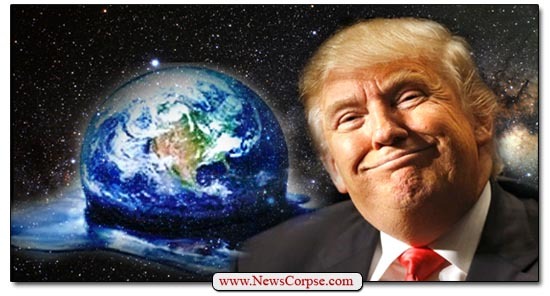 However, anyone with a reasonable grasp of current events, or an Internet connection, would quickly see his departure from reality. The Failing @nytimes, in a story by Peter Baker, should have mentioned the rapid terminations by me of TPP & The Paris Accord & the fast…. …approvals of The Keystone XL & Dakota Access pipelines. Also, look at the recent EPA cancelations & our great new Supreme Court Justice! The Trans-Pacific Partnership (TPP): Trump didn’t terminate it because it was never ratified. The Paris Accords on Climate Change: This wasn’t terminated either. 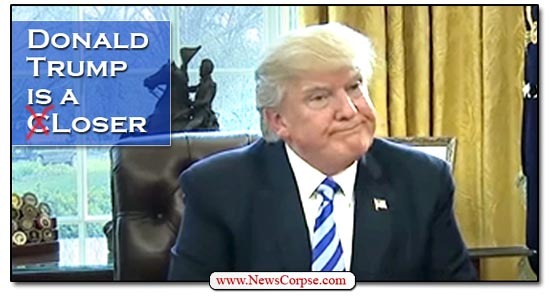 While he did withdraw from the agreement on a federal level, the agreement stands with 195 other nations committed to its objectives. And fourteen U.S. states, along with other cities and companies, have vowed to adhere to the accords. The Keystone XL pipeline: Despite Trump’s approval of the project, it is still mired in lawsuits that have blocked its progress. What’s more, the company building it is reconsidering whether it’s even commercially viable. EPA Cancelations: This is something Trump has actually done. But making the nation’s air and water more poisonous, and damaging environmental sustainability, is hardly a success. Supreme Court: Unfortunately, Justice Gorsuch is now sitting on the Supreme Court. But that was the doing of Sen. Mitch McConnell, who stole the seat from President Obama. And he couldn’t even get Gorsuch confirmed without throwing out the senate rules. So in the space of two tweets (which were mysteriously twenty minutes apart), Trump proved that he’s a dismal failure. And these are his own examples of alleged accomplishments. 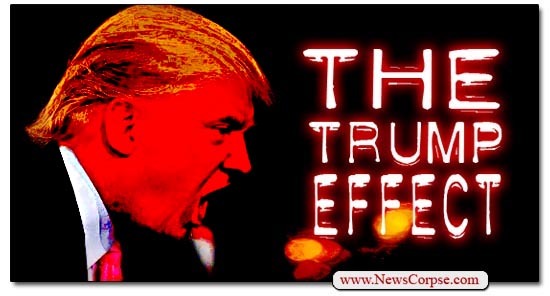 But he only validated the experts Baker quoted in his article who said that Trump used “bluff and bombast substituting for actual deeds,” or that he’s “a choke artist at critical moments.” He’s relied on a record number of executive orders (forty-nine to date) to give the illusion of productivity. Remember when he castigated Obama’s executive orders as a “major power grabs of authority”? For a more comprehensive accounting of Trump’s ineffectiveness, see PolitiFact’s tracking of his campaign promises. It completes the picture of a wholly unqualified fraud who was never fit to serve as president. And it further illustrates just how mentally unstable he is for trying to boast about nonexistent accomplishments. 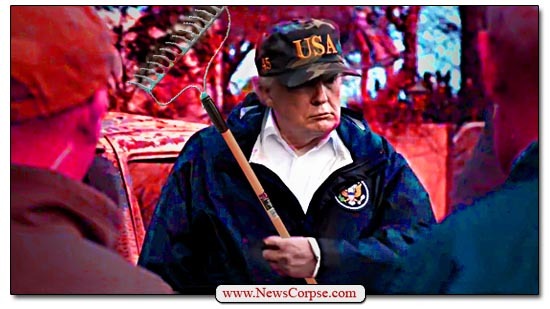 The combination of his incompetence and malignant narcissism is a recipe for an expedited apocalypse. Donald Trump is unarguably the most hostile president to the environment this country has ever seen. He is an unabashed science denier who believes that climate change is a hoax invented by China. He petulantly withdrew the United States from the Paris Accords that mobilized more than 170 countries to protect the planet. His director of the Environmental Protection Agency is an avowed critic of the institution and has lobbied to abolish it. Trump opposes development of eco-friendly, renewable energy and supports expanding use of coal and fossil fuels. The bill’s author argued that the military has more important matters to deal with and should leave climate change to other agencies. But others pointed out that rising sea levels are already threatening existing military installations. Even more troubling is the fact that global weather patterns are creating disasters that exacerbate regional conflicts. And countries suffering from drought, floods, and resource depletion can become dangerously unstable and vulnerable to extremist insurrections and war. Mattis isn’t the first defense secretary to hold these views. 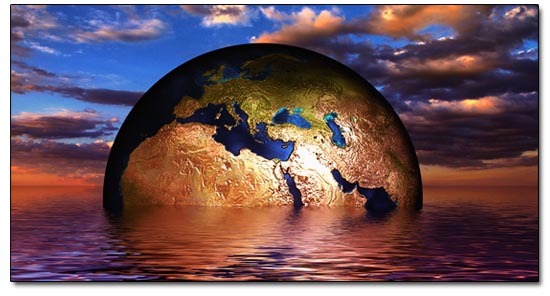 In fact, six of the past Secretaries of Defense (Mattis, Ash Carter, Chuck Hagel, Leon Panetta, Robert Gates, and Donald Rumsfeld) all subscribed to the policy that climate change is one of America’s top strategic risks. And four of the six are Republicans. Especially notable is Rumsfeld, under whose leadership the Pentagon published a report on the subject. 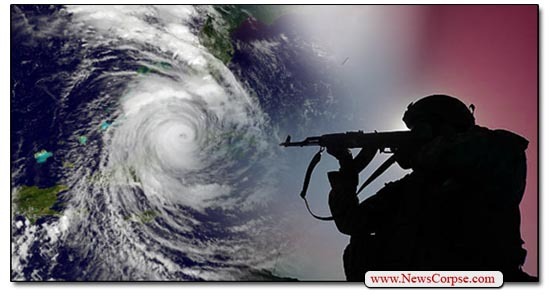 It’s title was “An Abrupt Climate Change Scenario and Its Implications for United States National Security.” The report warned that threats posed by climate change were even more perilous than terrorism. It’s encouraging that a few dozen Republicans joined with Democrats to kill this amendment. But it’s troubling that the majority of the GOP still voted in favor of it. Trump and the Republican Party continue to deny the accumulated wisdom of both scientific and military experts. They support an agenda that advances the interests of oil barons and apocalyptic Christianists. So this victory must be celebrated with a measure of uncertainty and a resolve to keep fighting for positive goals.